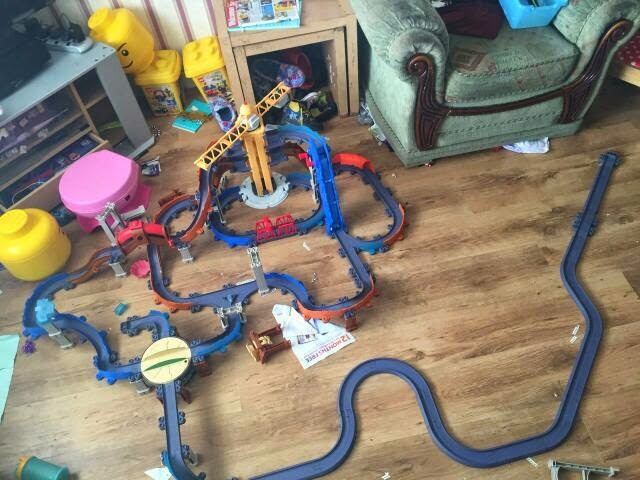 For Christmas Santa gave my children a Chuggington play set. Well that was added to the original set they already have and with doing so we were able to make a super Chuggington train set and as you can see we had mass amounts of fun doing so. 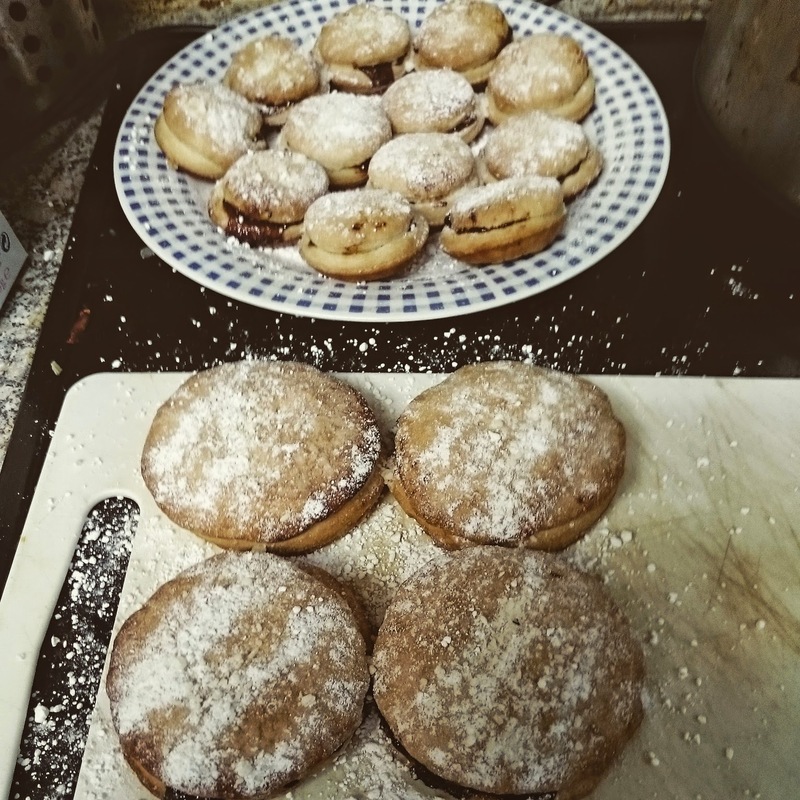 Over the Christmas period I was lucky enough to have five days off from work, so amongst the chaos of shopping and visiting people I found time to lock myself away in the kitchen and I baked some mince pies. To be fair they not only looked edible but everyone actually enjoyed eating them so success all round in can honestly say. I was recently contacted by HalibOrange to see if my children would be interested in doing a taste test of their Mr Men & Little Miss 3-7 years of age children's Vitamins. 100% RDA of the sunshine vitamin. As soon as the pack arrived my children couldn't wait to give them a taste test, so we decided to let JR taste test the Calcium & Vitamin D ones and we decided to give TP the Immune Support ones as he hadn't been well of late and we thought these might help him pick himself up again. I'll be totally honest we have never given our children any extra forms of vitamins or supplements before unless prescribed so by a doctor, so we didn't really know how they'd take to them. To our amazement they took to them really well, so much so that every morning after breakfast they ask for them sometimes before we go to give them to them, I have a strong feeling that the sweet like chewy design has something to do with that but if it helps the children to continually want to take them then it's doing its job. Its packaging is appealing to the children, it's sweet looking chewy texture is appealing to the children the only negative we discovered is the tub doesn't screw shut secure which obviously could be dangerous if the children get hold of the tub and help themselves to more then their supposed to. These vitamins are available to buy from pharmacies and supermarkets and are priced up between £4.00 and £4.99 for a tub of 30 soft chewy softies. Back in the summer we took the children up to Manchester to the Cbeebies fun day and the recording of the Cbeebies Christmas Panto Peter Pan. The boys and mummy were lucky enough to get to see Peter Pan being recorded and really enjoyed it, so off the back of that successful outing my wife booked up for us all to go and watch Cinderella the Pantomime at De Montfort Hall, Leicester. Why that panto you maybe asking? The answer is truly simple, the fabulous Alex Winters was starring in it as Buttons and as you maybe aware my kids and my wife think his amazing, to be fair he is a awesome guy. It seemed like a lifetime between when we booked the tickets to the day of the performance but it eventually came round and we (well my wife and I as the kids were still unaware of where we were going) were really looking forward to the panto. We booked the afternoon showing on the 23rd of December as the evening show would of meant us driving through not only Leicester rush hour traffic but also rush hour traffic on the motorway so to save getting stuck in that and meaning I'd no idea where I was really going it made sense to go to the afternoon showing. Well we made our way over to Leicester with plenty of time to spare before the show began (mainly due to the fact I didn't want to face the wrath of the wife incase I got lost or somewhere we might of hit traffic and missed the performance). Still at this point the children were unaware of where we were going or who was going to be awaiting them at De Montfort Hall. 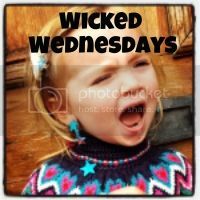 Unbeknown to the children and myself my wife had managed to contact Alex to possibly meet him before the show, when we arrived at the venue she said we were going to meet up with someone at the stage door before the show the children were very excited. Well we met up with Alex who we had a lovely chat with, his such a lovely friendly guy, the children were very excited at this point and couldn't wait for the show to begin. As we were early for the doors to open we made our way to the bar area and enjoyed a lovely chilled glitter berry J2O and chilled for a bit before the doors opened and we made our way to our seats. The children to be fair to them sat fairly still and really enjoyed watching the panto. I hadn't been to a panto for years but I really enjoyed this family panto outing and it was made even more special just before the interval when amongst the list of special announcements read out by Buttons and Cinderella the kids names were read out to see if they were enjoying their first ever pantomime. We watched the second half of the performance laughing at all the jokes most of which the boys really didn't understand but they laughed their little heads off nevertheless, we joined in with the singing and dancing and all really enjoyed ourselves. The last little treat was still to come, as we were leaving the auditorium and making our way past the the stage doors we heard someone call out to us, we looked around to see Alex sticking his head around the door hoping to catch up before we left. Alex was hoping to catch up with us to find out if we'd all had a good time and to see if the children had enjoyed their first proper Christmas Panto which was really nice of him. The kids told him they really enjoyed watching the panto, they enjoyed singing and dancing and really enjoyed their names being called out and they couldn't wait to come back again next year. Before we said our goodbyes there was just enough time for the kids to say hi to some of the other cast members which was really cool and to get a few quick pics with Alex. All in all the Pantomime was a great family day out we all really really enjoyed it and can't wait to go again next year (or later this year as it is now lol). Daddy don't take my photo, instead save me from falling...... PLEASE!!!!! Kids love a good story read to them at bedtime and to be honest parents, grandparents or whoever reads to them enjoy reading the stories too. 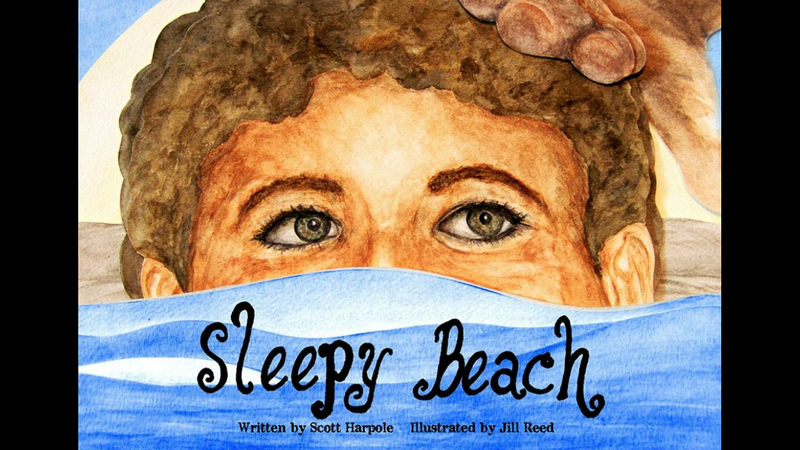 I try to read a different story to my children when I'm home for bedtime but we're beginning to get towards the end of our pile of books now so when Scott Harpole from @MyDadsStories contacted me to review his story book Sleepy Beach I thought great a new book to read to the children. Sleepy Beach is a fun short story to read to any young children at bedtime, it's a fun story with lovely illustrated pages for the children to look at as the story is being read to them. Also I found on YouTube that the story can be read to your children by the author himself which is a nice little bonus to be honest, you can let the children see the pictures in the story whilst the story is being read to them. Hello to you all and welcome back to my journey through the Alphabet Project once again. A Is For ...... Apple Bobbing. 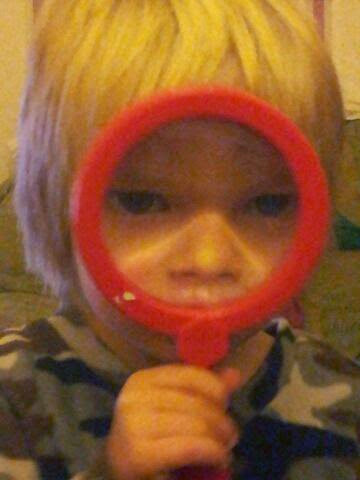 In October we had a family holiday at Coombemill. Amongst the many fabulous activities Fiona had organised for that week the boys took part in a little apple bobbing. They weren't sure about it at first but eventually gave it a go and won a lollypop for their efforts. All I can say to this is "Eye Eye"